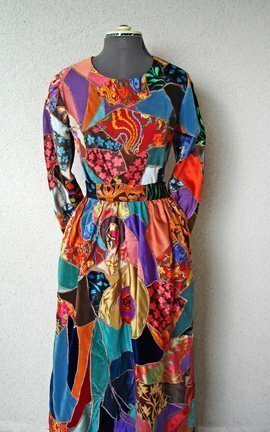 Authentic couture Yves Saint Laurent 1969 patchwork gown. The gown is documented in the YSL archives in Paris under the Fall/Winter Collection, 1969. The dress is numbered: 32 in their files. An excellent collector/museum acquisition. The later 1960's early 70's, was an highly artistic period in Saint Laurent's career. His designs of this time included allusions to noted styles of painting, theatrical works, etc. 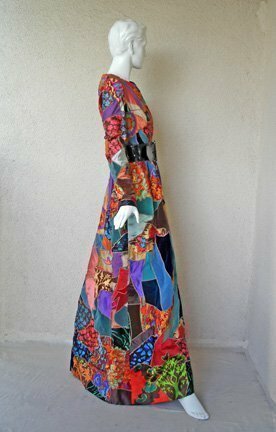 Always drawn to vibrant colors, he created his own artistic works of fashion, including original art patchwork which was pieced together in striking combinations creating the allusion of a stained glass effect. This submission is an important and early representation of the YSL satin patchwork gown and is documented in the YSL archives. 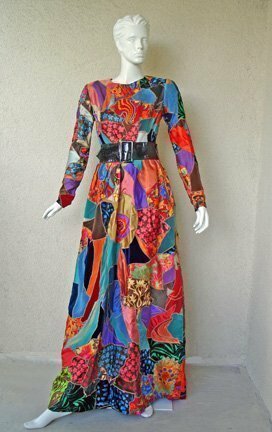 The gown is the work of Madame Brossin de Mere, a very well known and respected patchwork maker. In keeping with the YSL simple fashion prototype, Saint Laurent designed this gown with an elegant jeweled neckline, long tapered sleeves with zippers at wrist and a waistline that folds over defining the bodice and full skirt. 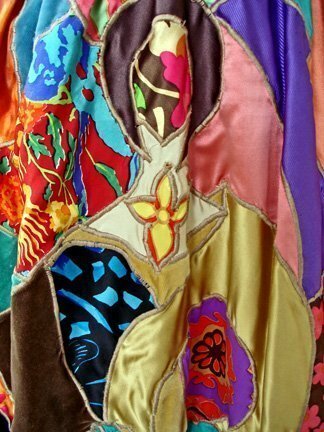 The colorful vibrant textile pattern suggests the psychedelic, hippie, flower power influence of the late 1960's. 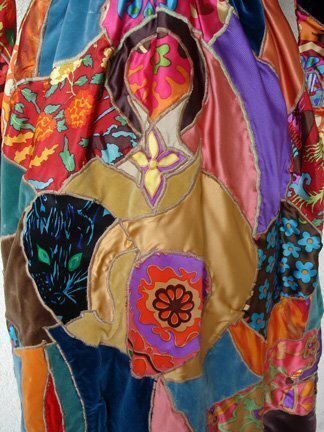 This gown is one of his highly distinctive earlier patchwork pieces. 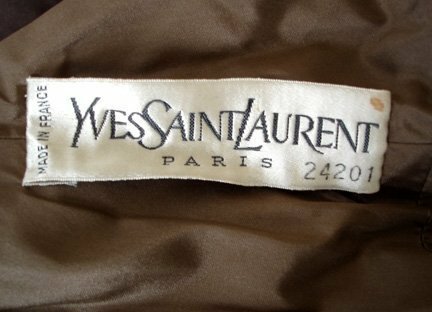 According to YSL archives, gown was originally sold by YSL on November 11, 1969. Condition: excellent and unaltered. 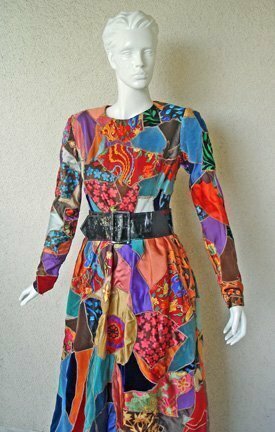 The dress is shown with a black patent belt which is not original to the dress. 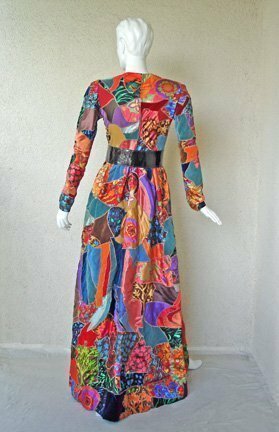 I have also included a pic of the dress without belt.